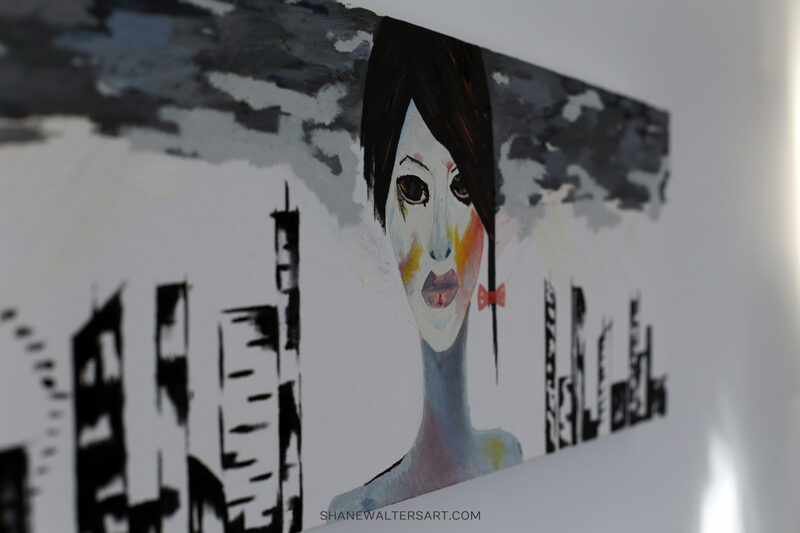 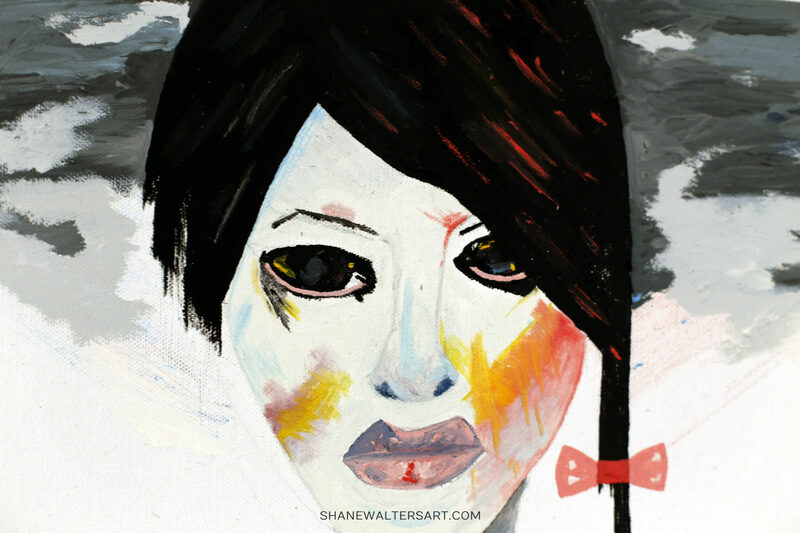 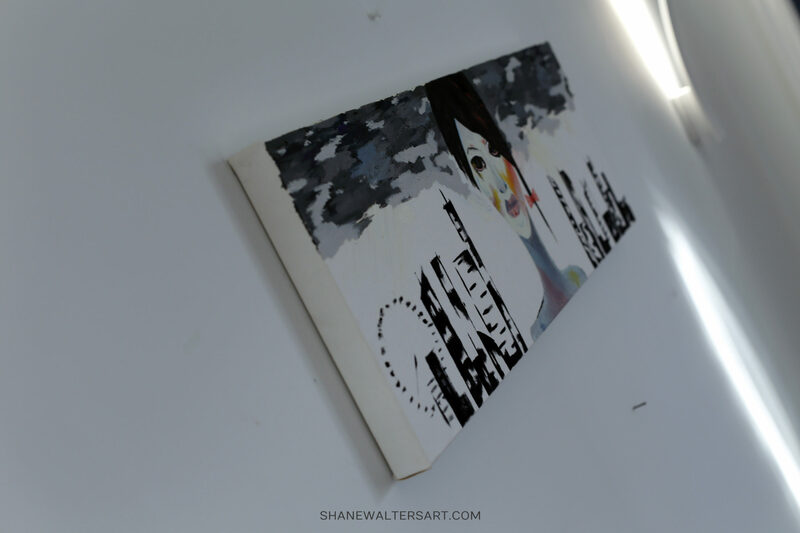 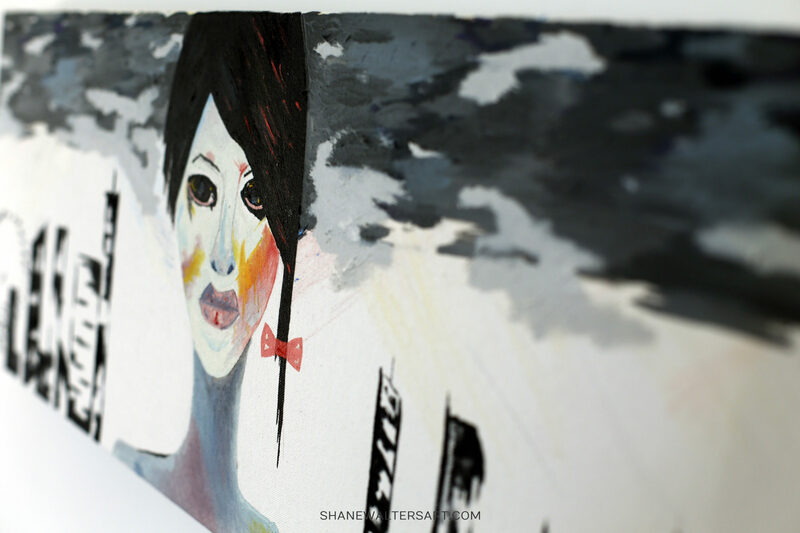 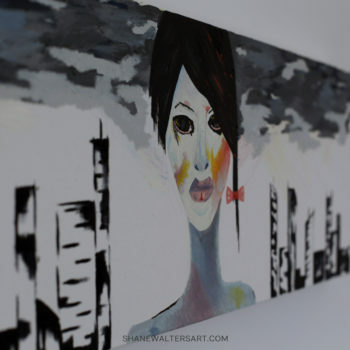 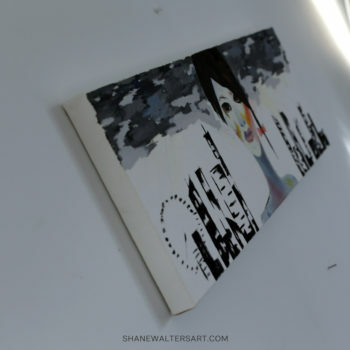 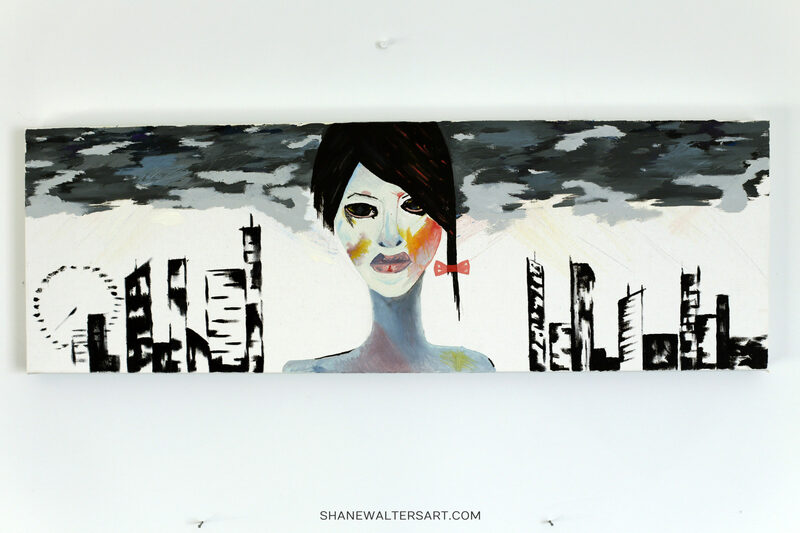 Click here to purchase or learn more about the futuristic female painting shown above. 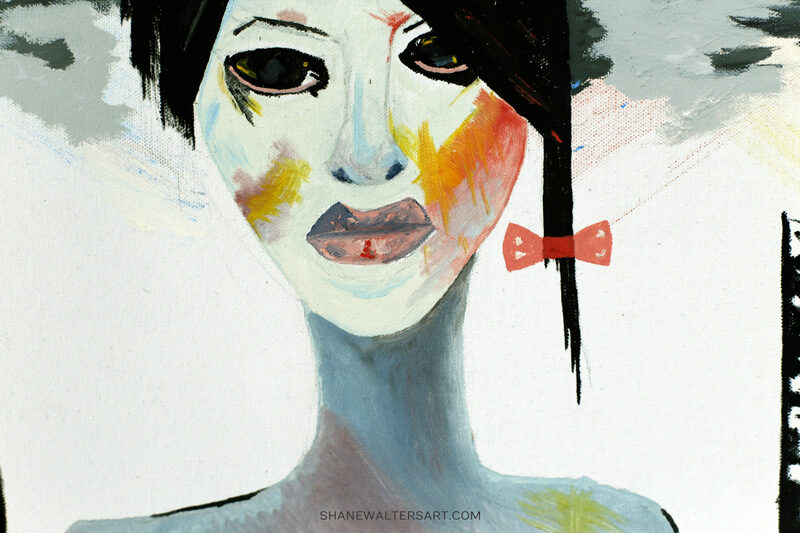 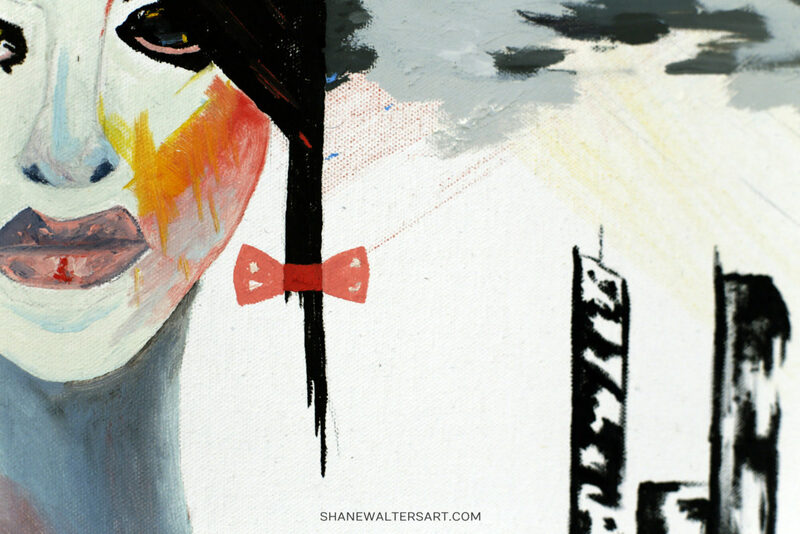 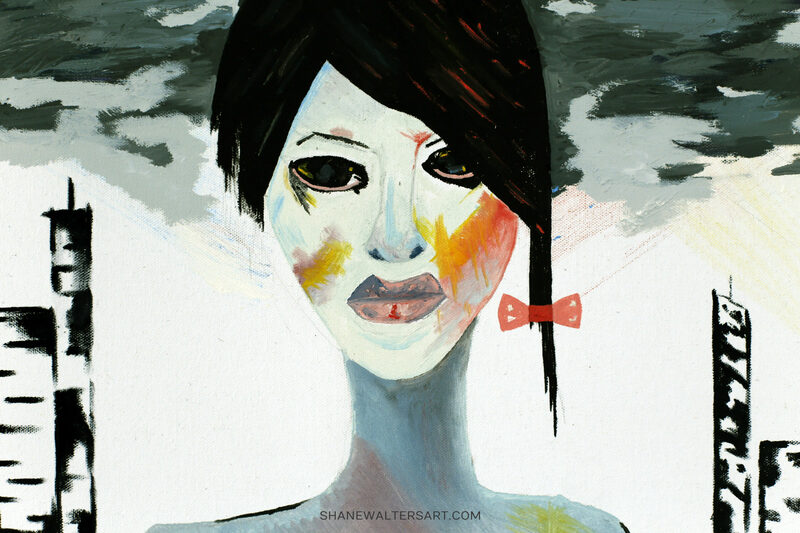 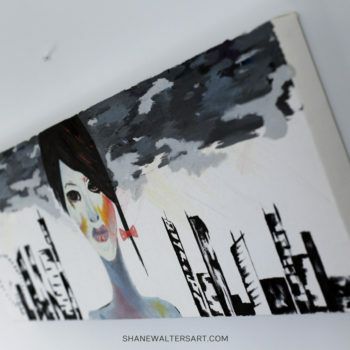 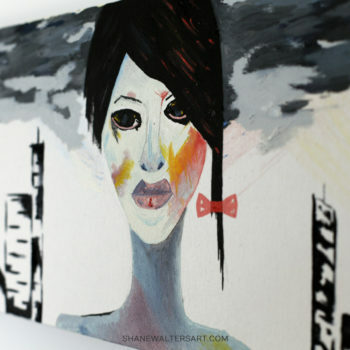 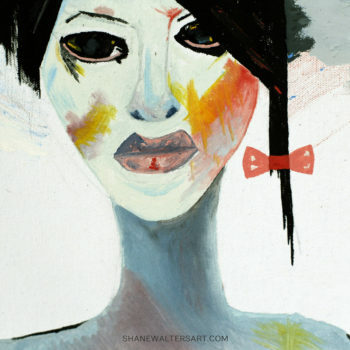 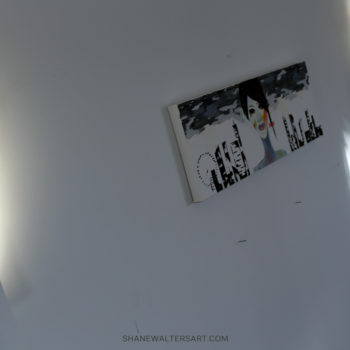 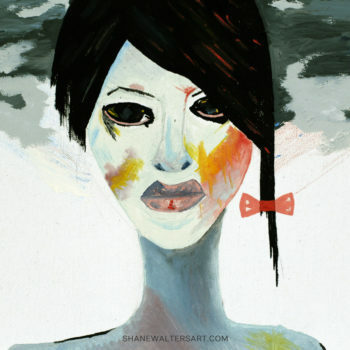 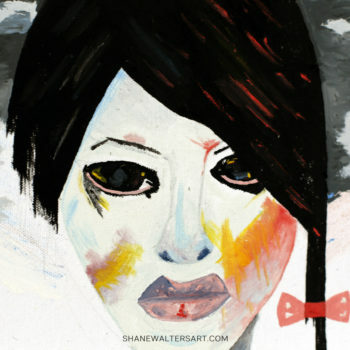 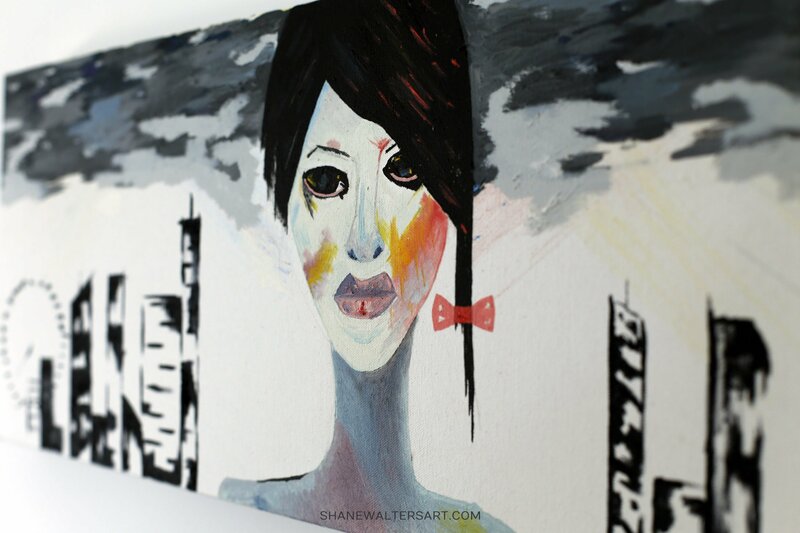 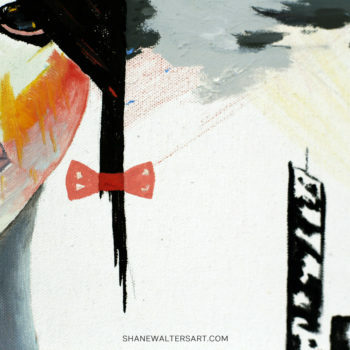 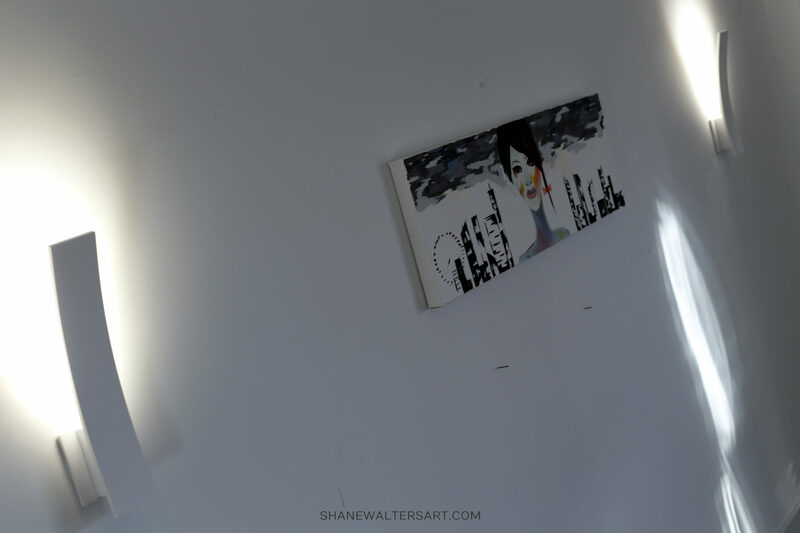 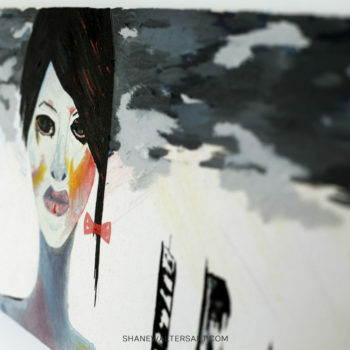 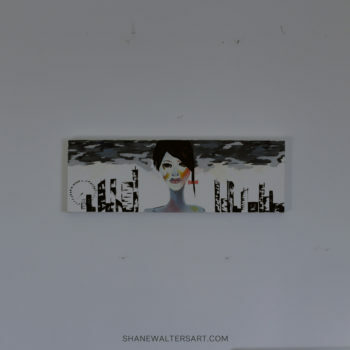 Modern futuristic painting by St. Louis based artist Shane Walters. 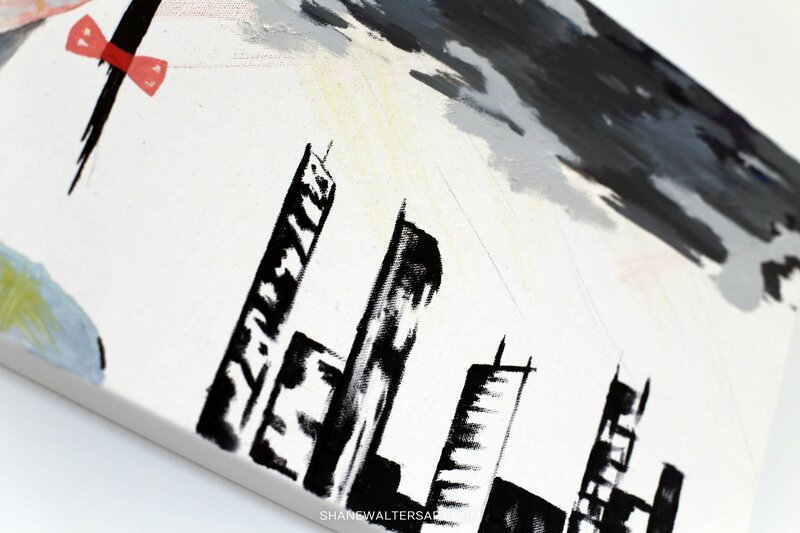 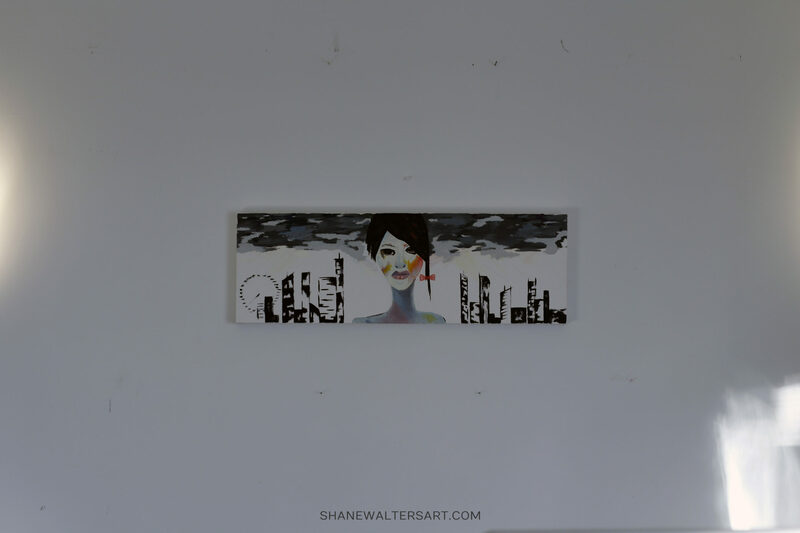 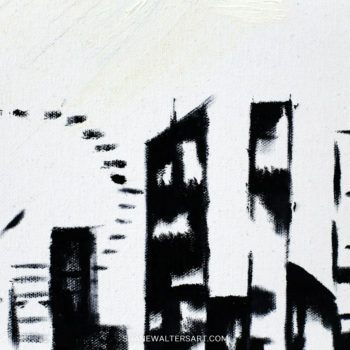 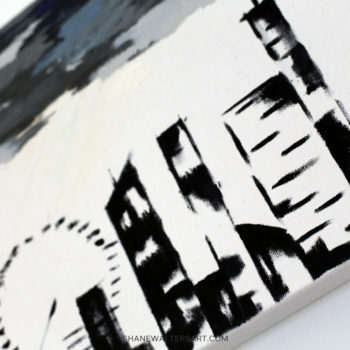 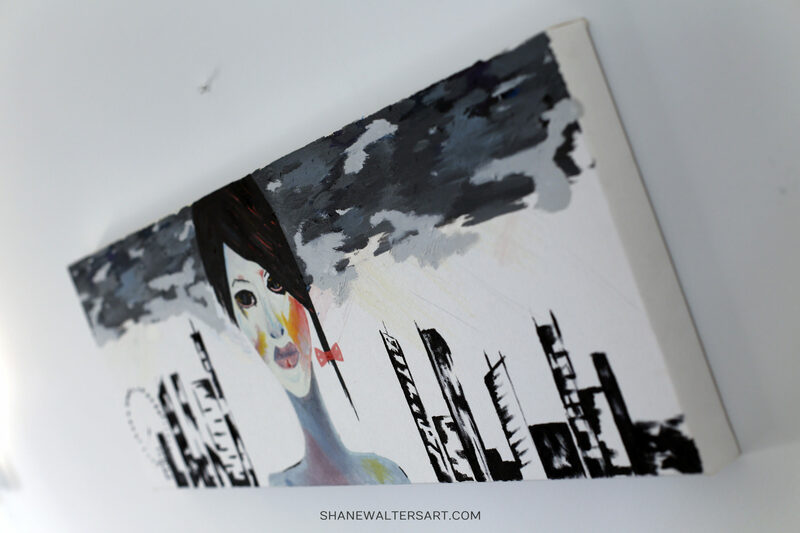 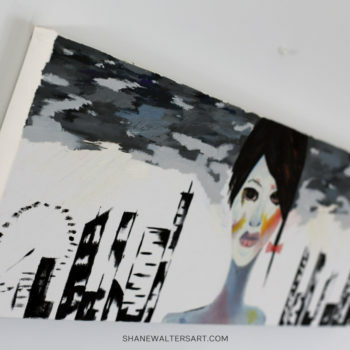 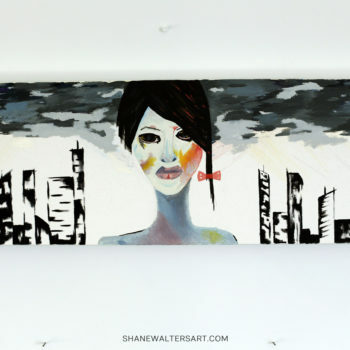 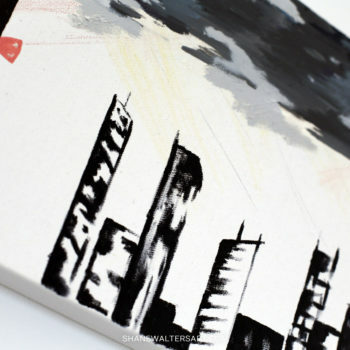 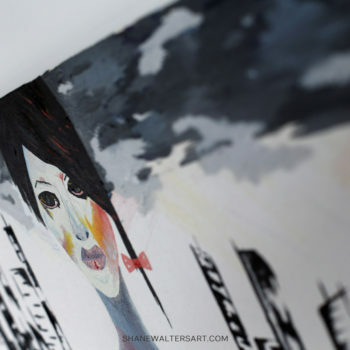 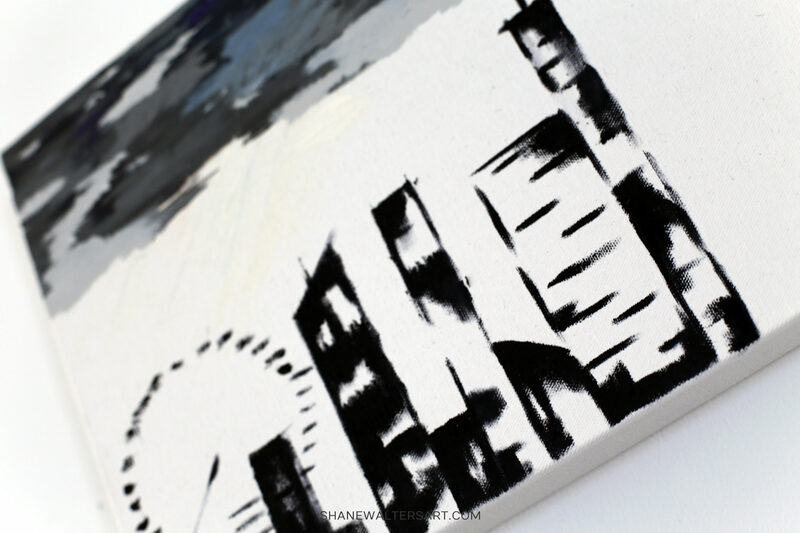 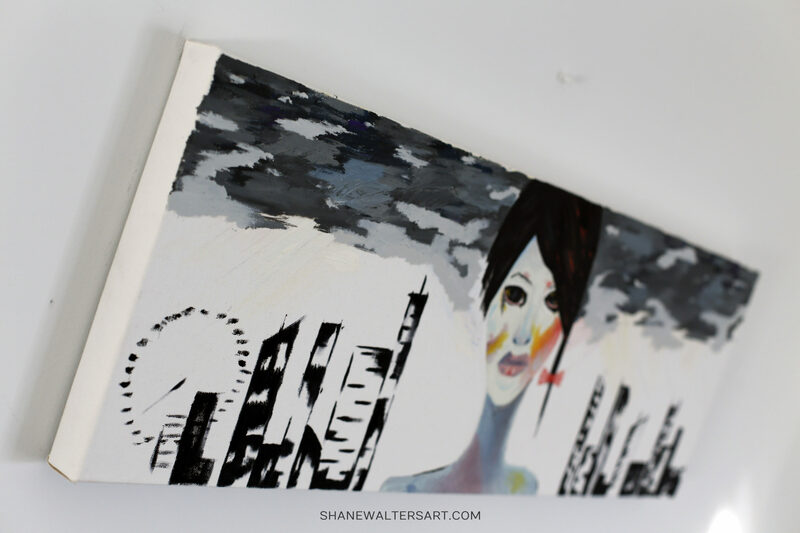 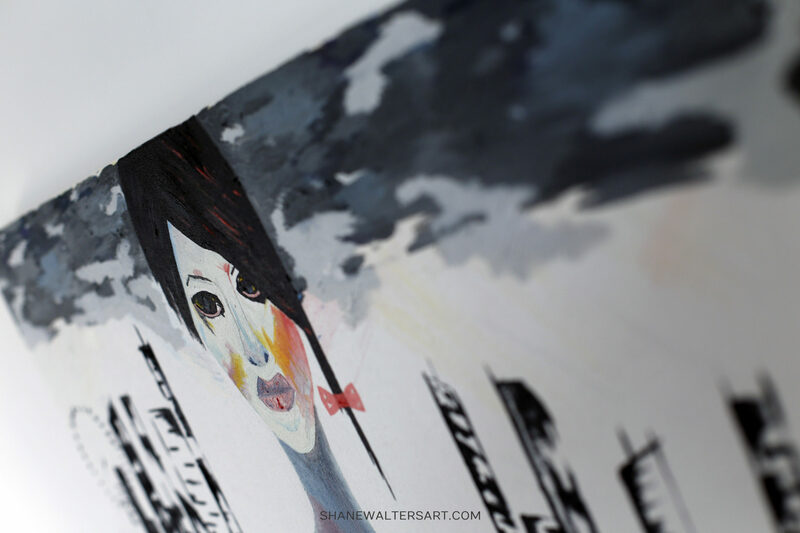 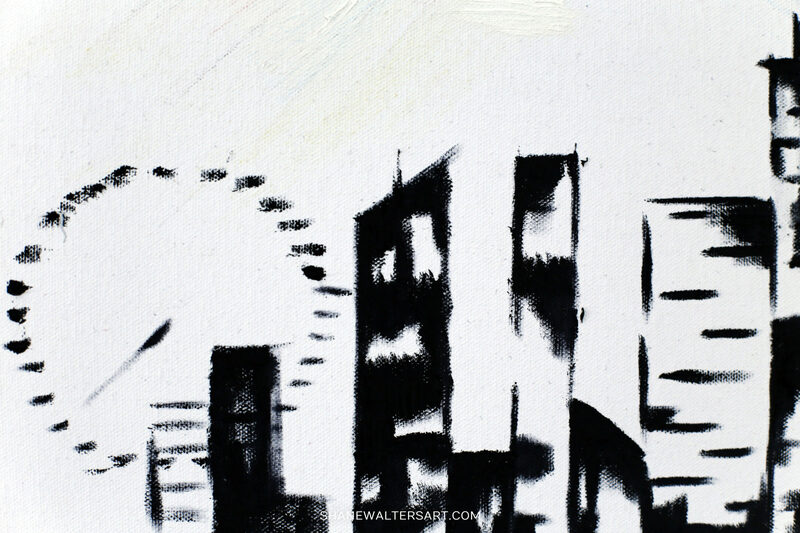 This small 36″ x 12″ oil on canvas painting features a human over a futuristic cityscape.